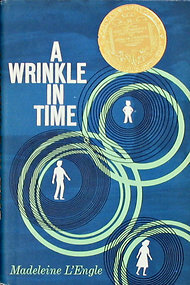 Meg and her brilliant but eccentric younger brother, Charles Wallace, share adventures as they travel through time and space to rescue their father, a scientist. Their father had been doing research on “tessering,” a form of space and time travel, when he disappeared. With the help of three beings who call themselves Mrs. Who, Mrs. Whatsit, and Mrs. Which, and a new friend, Calvin O’Keefe, they “tesser” to the planet of Camazotz. There the children’s father is imprisoned behind the Black Thing, an evil force in the universe. The Black Thing is helped by the power of IT, a disembodied brain that controls all the people of Camazotz. On Camazotz, Meg, Charles Wallace, and Calvin fight against the power of IT. Charles Wallace voluntarily succumbs to IT to get information, while Meg works to free her father. Meg succeeds. Her father then tessers Meg and Calvin off the planet. Unfortunately, Charles Wallace is left behind. After this narrow escape from the cold power of IT, Meg faces the enormous physical and moral challenge of returning to Camazotz to save Charles Wallace. Because of her love for her brother, she goes, and by expressing this love, she is able to free him. 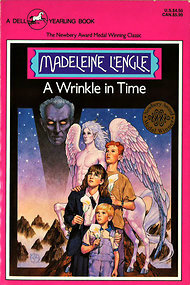 Through Meg’s voice, author Madeleine L’Engle weaves a powerful narrative. 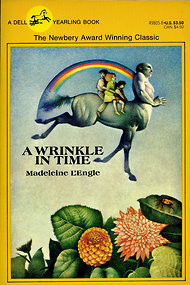 L’Engle combines the realism of Meg’s emotional journey with the fantastic world of tessering, IT, and the Black Thing. Some misunderstood teenagers need to find their own way in life. Some are fortunate enough to do this while traveling through space and time. Science fiction is a genre of fiction in which the stories often tell about science and technology of the future. The plot creates situations different from those of what is happening today and what has happened in the past. Science fiction books include a human element, explaining what effect new discoveries, happenings and scientific developments will have on us in the future. Science fiction is often set in the future, in space, on a different world, or in a different universe of dimension. 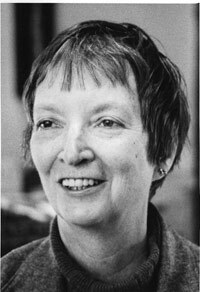 In addition to her novels, L’Engle is the author of several books of memoirs, including “The Crosswicks Journal,” which was published in several volumes and is about her life in Connecticut, and includes the book “Two-Part Invention,” which tells the story of her marriage to Hugh Franklin. In these accounts, young Madeleine is sent to boarding school because her father was gassed in the war. He needs to travel endlessly in search of air clear enough for him to breathe. She knows that she is loved, though: she stays with her parents during school holidays. One day, however, she told me that she almost never saw her parents during school vacations. She spent the holidays in Provence, with her grandfather. During the long afternoons, she read his collection ofPunch.